I used the stock Debian Linux image and copied it to an SD Card on my Mac. After hooking everything up it booted! I was able to play with it for a bit, but not much. I’m no Linux expert but the online guides were very helpful. Later I’ll try to play some video or something on it. 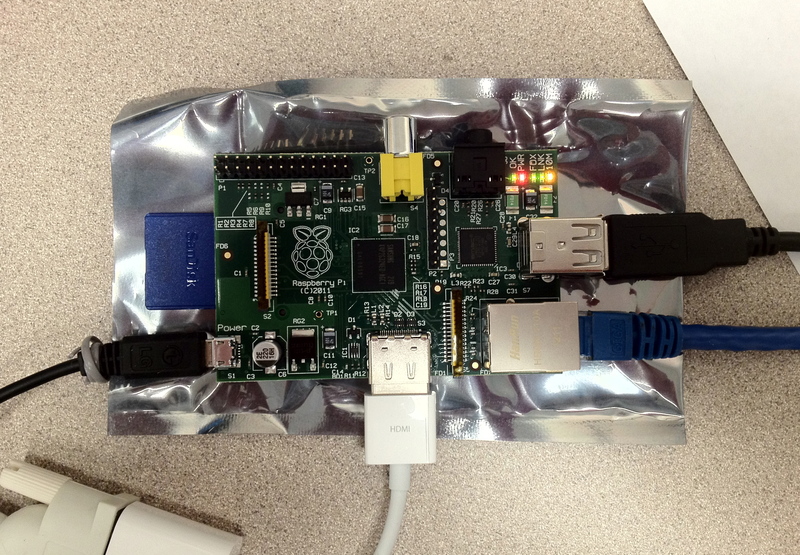 The HDMI to DVI Apple-branded adapter costs about the same as the Raspberry Pi. Web browsing is glacially slow. Maybe something can be done through software improvements but I don't think there's a lot of hope. 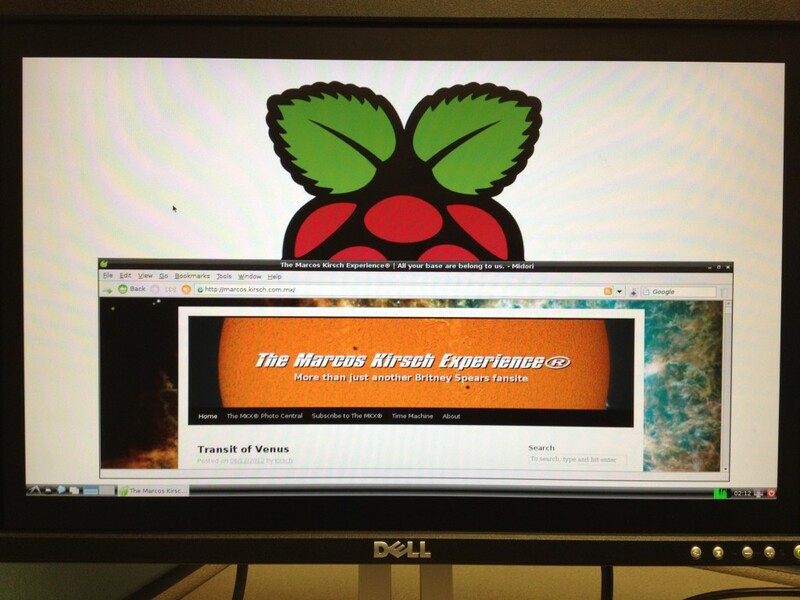 Here you can see the world's best website as rendered by a Raspberry Pi. This is not Photoshopped. Heck, it's not even GIMPed!